Coin prices are impacted by a number of factors. The most obvious of these are supply and demand. Simply put, if a coin has a greater degree of demand than available supply, the price is going to be strong. But what are some of the not-as-obvious factors that impact coin prices? Here are some observations. 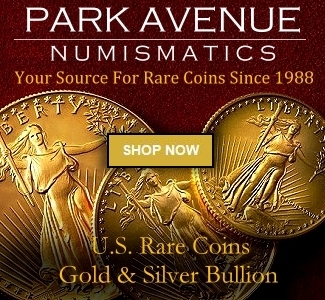 There are different levels of demand for any rare coin. There’s “I’m sort of kicking tires and I’m wondering if you might have the following D Mint quarter eagle,” and there’s “I’ve been looking for a nice 1840-D quarter eagle for five years, its the last coin I need to finish my set and I have to have it!” The latter is, obviously, a higher quality of demand and this buyer would be willing to pay a significantly higher price than the lukewarm, casual buyer. While this example is deliberately extreme in its contrast, there are clearly different levels of demand that impact coin prices. Another factor is venue. I am very interested in marketing and branding and one of the things that interests me is creating demand for new products. Brands now do “mash ups” where a hot young designer of furniture, as an example, designs a limited edition sneaker design for Adidas or Nike. Only 500 might be released and collectors will pay a significant premium for this because of its perceived scarcity. And, it might be offered only at a “pop up” venue where you have to wait for an hour to just see the sneakers and where’s there is no time to sit and ponder if you will or won’t make the purchase. You are pre-sold and you represent a high quality of demand. I see this sort of collector behavior for coins at auction. The major firms do a great job of creating an environment that fosters competition and turns a coin purchase into blood sport. 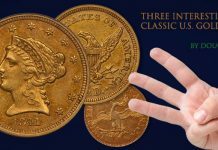 As an example, how many times have you, as a bidder, placed an on-line bid and received an outbid notice only to say “I know I shouldn’t this but I’ll be damned if I’m going to let myself get outbid on this D Mint quarter eagle?” At a live auction, it is even easier to lose control when bidding (which is why I suggest hiring an agent, but that’s another story…) and I can recall numerous incidents when bidding has turned into a ego-fest between collectors or dealers. 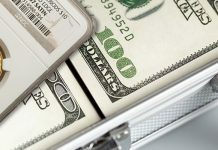 A decade ago, when large-scale telemarketers seemingly controlled the coin market, having information about the next coin or series that was going to be promoted could make or break a wholesale dealer. 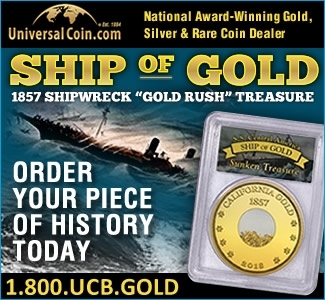 As an example, I can remember at least a few times that Commemorative Gold coins were about to be pushed, and quietly buying coins at pre-promotional levels so that I could sell into a potential rising market. This isn’t the case so much in the 2012 coin market due to the Democratization of Information as a result of widespread web access. But rare coins are still being promoted and this can be a subtle factor in price increases. 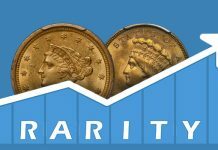 In many series of coins, the passion of Registry Set collectors results in amazing prices for the right coin(s). 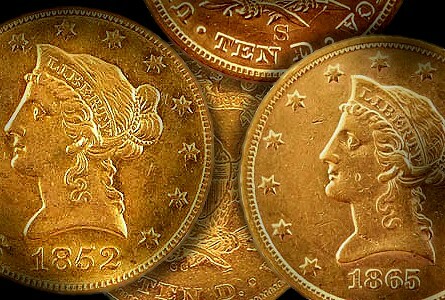 This hasn’t impacted 18th and 19th century gold coins all that much as there is little Registry Set collecting for early gold and Liberty Head issues (although I wouldn’t be surprised if we begin to see serious registry collecting in popular areas like CC double eagles or Dahlonega half eagles in the very near future). 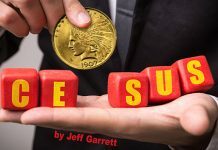 The areas in the better gold coin market that seem most likely to be impacted by Registry Set collecting in the immediate future are 20th century issues. I find it very surprising that dealers or marketers who specialize in series like $2.50 Indians haven’t seriously promoted the Registry as a way to impact the demand on rarer dates in high grades. For a while, there were a small but dedicated number of Registry Sets in the St. Gaudens double eagle series that were highly competitive and which greatly influenced the prices of high grade better date PCGS encapsulated Saints. My guess is that this will happen again in the not-so-distant future. Just the other day, I got back a coin from PCGS that hit my nostalgia button as hard as any has in some time. It was a perfect, even-brown VF30 1877 Cent. When I was a wee lad, I collected Indian Cents and the 1877 was a mythical rarity that I could only dream of owning. Today, this is a coin that I can easily afford and the $1,500-1,750 that this coin would cost me, as a collector, would exorcize some of the oh-why-can’t -I-fill-that-1877-hole frisson that haunted me when I was eight or nine. There are, of course, other hittable hot buttons for gold collectors as well. Cool design? That’s an affirmative, High Relief double eagle. Great background story? Hello, Carson City double eagle! The “neatness” factor of owning an 18th century issue? That would be you, 1799 eagle. 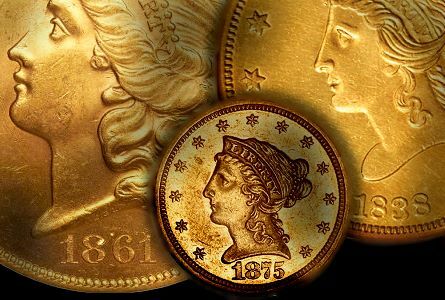 -Background Story: I don’t think its a coincidence that coins like 1861-D gold dollars and half eagles or 1861-O double eagles have become much more in demand due to their fantastic background stories. -Provenance: This may not be the case for all collectors but for some of us (and you know who you are…) the allure of an Eliasberg or Norweb pedigree is a definite factor that influences the price that we pay for a neat coin. -”The Look:” As the internet has (re)proven, numismatics is very visual. Coins that have a great appearance (such as wonderful deep coloration or lots of dirt clinging to the recessed areas) are pieces that a certain type of collector will pay a premium for. 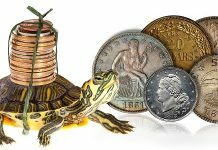 There are other not-so-obvious factors that influence what collectors will pay for a coin. What are some of the ones that went undiscussed in this blog that impact you? “Quality of demand”. You make an important point. “Provenance” is staging a comeback, I think. Well, it is with me and my friends, anyway.